These stores account for a bulk of the turnover of large consumer good companies. In fact, business from these canteens contributes between 5% and 7% of total sales for some of them, according to estimates by the Economic Times. The country’s largest consumer goods firm Hindustan Unilever, for example, counts CSD as its biggest customer in south Asia. The same holds true for liquor major United Spirits. CSD canteens were set up in 1948 as stores to ensure “easy access to quality products of daily use, at prices less than the market rates.” Their customers were serving army, navy and air force personnel, besides the retired ones and their families. 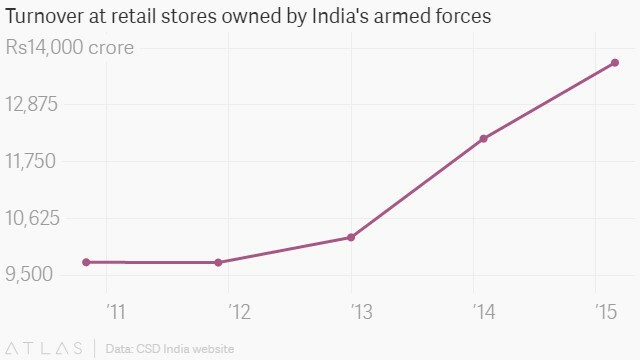 The stores have served Indians troops even during wars and natural calamities. For instance, during the Indo-China war (1962) and the Pakistan incursions (1965), the canteens ensured swift supply of goods to Indian troops, according to the CSD website. In the 1970s, as the number of stores increased, the defence ministry sanctioned an organized structure to manage them. Today, CSD has nearly 2,400 employees. These stores reportedly serve some 12 million customers annually with over 4,500 products such as television sets, audio and video systems, refrigerators, soaps, shampoos, liquor, and even cars—all at prices considerably lower than market rates. In fact, liquor is the highest-selling category and contributes 26% of CSD’s sales, followed by toiletries. 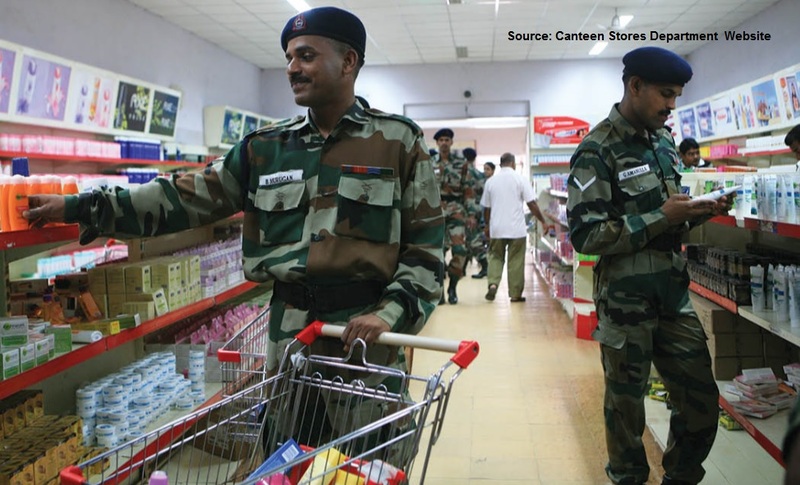 For those serving the country, these canteens are an inseparable part of routine life and brands just cannot miss out on these stores.